Roland is pleased to announce their support for Audinate’s Dante™ audio networking solution as an optional expansion card in their new M-5000 Live Mixing Console. Roland is a premier pro audio and video manufacturer and is most notable in the audio market for their live digital mixing consoles, digital snake systems, multi-channel recording/playback systems, and personal mixing solution – all over Cat5e/6 Ethernet network. Roland’s offering of a Dante solution addresses the need from system integrators, consultants and pro audio professionals wanting to interconnect digital audio products. Supporting Dante in addition to REAC, MADI and Waves SoundGrid positions the new Roland M-5000 Live Mixing Console and the O.H.R.C.A platform as one of the most openly networked audio consoles on the market. The Roland M-5000 Live Mixing Console sits on a new platform called O.H.R.CA. This represents “Open”, “High Resolution”, and “Configurable Architecture” by delivering definable audio paths, supporting multiple audio format protocols, plus pristine 96 kHz sound quality throughout the system. 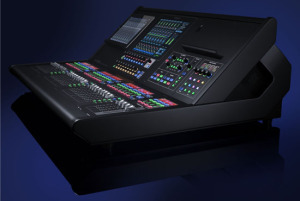 The M-5000’s internal mix architecture is not fixed and can be freely defined for mixing channels, AUXs, Matrices, subgroup buses, MIX-MINUS buses within a range of up to 128 audio paths allowing the user to create a console structure to suit the needs of the application. The Roland M-5000 along with the Dante Expansion card will be available early 2015.